Enjoy all this coastal city has to offer! Whether visitors are seeking quiet and relaxing moments or non-stop action-filled activities, there are plenty of things to do. 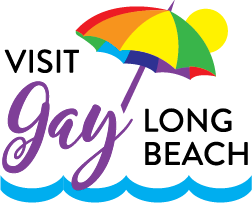 First held in 1984, the Long Beach Gay Pride is one of the largest in the nation with an attendance of more than 80,000 people. Perhaps the biggest tourist attraction in Long Beach, this famed ship’s final cruise ended by docking permanently in Southern California on December 9, 1967. SoCal’s largest aquarium, featuring the diversity of the Pacific Ocean with more than 11,000 animals in more than 50 exhibits. In Rainbow Harbor, located walking distance from the Aquarium of the Pacific and the Convention Center, sits a charming waterfront center with shopping, dining and entertainment. Opened in 2017, this is an immersive, state-of-the-art pedestrian bridge with a design that mimics a breaking wave. Wide lanes keep walkers separate from roller skaters and cyclists along this scenic 3.1-mile concrete trail along the sand on Oceanfront from Alamitos Avenue to 54th Place. The only off-leash dog beach in Los Angeles County. Pups can run and play in four acres of sand and surf. One-hour classes are available daily at 11 a.m. (and at 6 p.m. during spring and summer) provided by Yogalution. See a variety of the largest mammals in the world, including blue and gray whales, orcas and humpbacks. Dolphin sightings are also common. This Japanese-style garden was created in 1981, hosts lectures, screenings, workshops and festivals throughout the year. Located next to the Art Theater on Fourth Street, it provides a variety of health, social, advocacy, legal, and service programs to the LGBTQ community. This independent movie theater shows first run, foreign language, documentaries and independent films and hosts the QFilm Festival, Long Beach’s longest-running film festival since 1993. 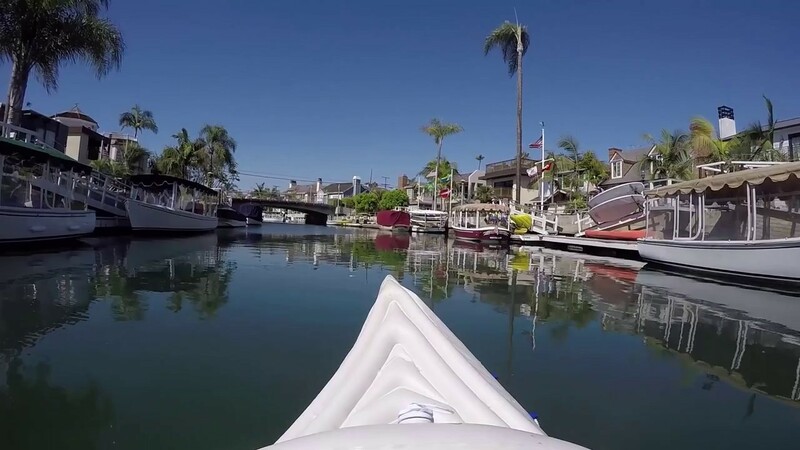 Created in the early 1900s, the Naples neighborhood consists of three islands located in Alamitos Bay at the mouth of the San Gabriel River, divided by canals that open into the bay. A wonderful location to take in the view of the Long Beach skyline, nearby San Pedro and (on a clear day or night) Catalina Island, the pier plays host to events throughout the year. In the Belmont Shore neighborhood, find more than 200 restaurants, bars, salons, and stores on Second Street. The Naples neighborhood of Long Beach is one of the few places in the Western United States where tourists may hop a ride in a gondola. Located on Bay Shore Avenue between East 2nd Street and Ocean Boulevard is a narrow stretch of beach with calm waters. Only steps from the ocean, Downtown Long Beach hosts a wide variety of restaurants serving everything from hot dogs to seafood and more. Taking its name from the “The Pike” amusement park that once occupied this space in the early 1900s, this open-air shopping destination is located within walking distance from the Aquarium of the Pacific, Convention Center and Shoreline Village. Visitors will find coffee shops, restaurants and a plethora of vintage shops stocked with everything from mid-Century furniture to record albums from the 1970s and more. Featuring art from Latin America and the Spanish-speaking Caribbean, MOLAA is the only museum in the United States dedicated to modern and contemporary Latin American and Latino art. Known for its wildlife, dive sites and Mt. Orizaba, its highest peak, Catalina Island has been a favorite vacation spot for a number of celebrities. On the east side of Long Beach, just off the 605 Freeway and adjacent to the San Gabriel River, is an expansive park that allows for an urban escape. Originally built in 1912 as a summer home by a co-founder of the Borden Company and the Chicago, Milwaukee & St. Paul Railroad, this space houses a permanent collection of approximately 3,000 works and numerous exhibitions. Look no further than Long Beach to find the largest population of Cambodians outside of Phnom Penh. This center, named after her (and including her maiden name), requires reservations to use the eight lighted courts. A great place for jogging or taking a stroll, there are benches available to sit and take in the view: The Port of Long Beach, The Queen Mary, San Pedro and Catalina Island. This 3.2-acre area is a very popular spot for great views. On a clear day, it’s possible to see all of Long Beach from downtown all the way down the coast to neighboring Seal Beach and Huntington Beach. Locals find this quiet neighborhood filled with a collection of boutique shops, restaurants and galleries. Long Beach has a number of public transportation options, including a great water taxi to get around Long Beach Harbor and Alamitos Bay. An 18-hole links-style course features Bermuda grass fairways, wide-open links-style play, and superb Bentgrass and Poa annual greens. This executive 9-hole course features 1,795 yards of golf from the longest tees for a par of 30. Home to the Long Beach Golf Festival, this 6,921-yard par 72 course has been ranked one of the best by the PGA and received GolfLink’s Top 100 Course designation in 2008. This 2,143-yard par 54 course is it. Located in the northeast corner of Long Beach, it’s great for beginner golfers. This is a par 72 course featuring challenging elevation changes on Kikuyu fairways and tough bunkers defending Bent and Poa greens. Located across the street from Recreation Park 18, this par 31 course on the Colorado Lagoon has gentle rolling hills.